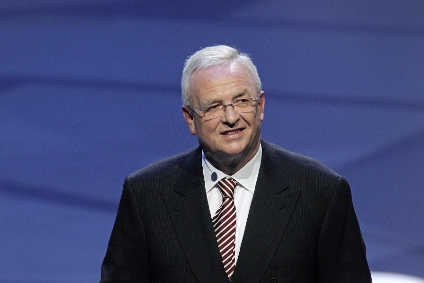 BMW Group's China chief Christoph Stark will retire in the first quarter of 2013 after over eight successful years in the role. He helped boost the company's annual sales in China 20 times since his arrival in 2004, China Daily reported. Karsten Engel, currently head of German operations, will replace Stark as president and CEO of BMW Group Region China, the automaker said. Under Stark, BMW China's annual sales rose from 15,500 cars in 2004 to the over 300,000 units expected this year. In the first nine months of 2012, sales grew 33.5% year on year to 237,056 units, making China BMW's biggest single market. Analysts said BMW's achievement was due mainly to Stark's localisation efforts for products, sales, marketing, communications and personnel management. BMW cars are assembled by a joint venture with Brilliance China where capacity has been expanded on Stark's watch. Stark, fluent in Chinese, told China Daily his biggest achievement was the formation of a "strong team", including young Chinese people, in medium and high-level positions. Analysts said new chief Engel should speed up the process of introducing new products and technologies to China to meet increasingly fierce competition. Volkswagen Group's Audi, currently the biggest luxury carmaker in the country with its manufacturing joint ventures with Shangai Automotive, is set to top 400,000 units this year. Mercedes-Benz, newer to local production with Beijing Benz, is expected to sell about 200,000 cars this year. After he became CEO, Stark's first big chnage was to lower prices of the locally produced 3 and 5 Series model lines to expand the customer base which not only increased sales but also boosted the morale of dealers. He also participated in the development of the long-wheelbase 5 and 3 Series to cater to local customers' demands for roomy cars. Both models have been well received by the market, China Daily noted. Stark also persuaded BMW to cooperate with Brilliance to create a new brand for their joint venture in the northeastern city of Shenyang, the type of technology transfer and local development that Chinese regulators have long encouraged in the industry. The new brand will be unveiled next year and is expected to further expand the German carmaker's customer base in China. Another important move was changing the image that BMW had as a car for the arrogant 'nouveau rich' in China. Stark and his team created a successful campaign starting in 2010 by promoting the brand's global slogan 'Joy is BMW' with the elegant Chinese character for yue, which means joy. The campaign, supplemented by a range of corporate social responsibility activities, formed positive emotional connection with Chinese consumers, said analysts. In addition to the long-wheelbase 5 Series and 3 Series sedans, BMW also makes the X1 SUV in China. Its combined production capacity in the country is expected soon to pass 300,000 vehicles a year. BMW has also built an engine plant with capacity of 200,000 units in Shenyang. New facilities under construction are expected to double engine output to 400,000 units in 2015. China's premium car market is expected to grow 23% to 1.19m vehicles this year, according to market research firm LMC Automotive. The segment is likely to see average annual growth of around 20% in the next three years and double in size to over 2m vehicles in 2015, the firm forecast. BMW chairman Norbert Reithofer said prospects for the premium segment in China still look promising although growth is expected to be slower. "Our commitment to China remains strong and is assured," he said. Stark is the second high profile China chief of a western auto JV to announcement retirement in the last few months. On 1 October, Australian Kevin Wale handed the reins of GM China to Bob Socia, previously GM's head of global purchasing and supply chain.